In addition to our unique Chiropractic approach, we offer high power deep tissue laser therapy for the treatment of acute and chronic pain. Laser Therapy is a non-invasive, safe, and effective treatment modality where light is used to relieve pain, reduce inflammation, and promote wound healing and soft tissue repair. Laser Therapy is approved for the treatment of Arthritis, Plantar Fasciitis, TMJ Syndrome, post surgical hip and shoulder pain, headache and migraine relief, Whiplash, Sciatica, Neuropathy, Fibromyalgia and Carpal Tunnel Syndrome, to name just a few. Most patient’s experience some pain relief their first treatment. During each painless treatment laser energy increases circulation, drawing water, oxygen, and nutrients to the damaged area. This creates an optimal healing environment that reduces inflammation, swelling, muscle spasms, stiffness and pain. As the injured area returns to normal, function is restored and pain is relieved. During Laser Therapy the infrared laser light interacts with tissues at the cellular level and metabolic activity increases within the cell, improving the transport of nutrients across the cell membrane. This initiates the productions of cellular energy (ATP) that leads to a cascade of beneficial effects, increasing cellular function and health. During more than twenty years of use by healthcare provides all over the world, very few side effects have ever been reported. Occasionally some old injuries or pain syndromes may feel aggravated for a few days, as the healing response is more active after treatment. You may feel improvement in your condition after the very first treatment. Sometimes you will not feel improvement for a number of treatments. This does not mean that the condition is not improving. Each treatment is cumulative and results are often felt after 3 or 4 sessions. 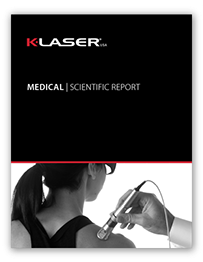 Can laser therapy be used in conjunction with other treatments? Call us today at 509-783-8145 to schedule a preliminary examination or fill out the contact form here.